The Sakhalin Indigenous Minorities Development Plan is a tripartite programme jointly implemented by Sakhalin Energy as the operator of the Sakhalin-2 oil and gas project, Sakhalin Oblast Government and the Regional Council of Authorised Representatives of the Sakhalin Indigenous Minorities. To assist in developing the potential of indigenous communities and individuals by encouraging them to take part in managing this Plan and other similar programmes. managers and staff at municipal administrations where Sakhalin indigenous minorities live. 2. Organisations of Indigenous Minorities of the North that provide, during the period under review, organisational support that is critically important for the Plan's success. As was originally envisioned, the SIMDP is independently evaluated every six months, which includes meetings with the stakeholders, visits to places where Sakhalin Indigenous Minorities are concentrated, interviews and meetings. All of the reports are available to the public on the SIMDP website in the Reports section and on Sakhalin Energy website, and are distributed among the community, public organisations and libraries. The SIMDP’s governing bodies have been established in accordance with the signed agreement. These include the Supervisory Board (the Plan’s highest governing body, which convenes every six months), the Executive Committee (which functions when the Supervisory Board is not in session), two specialised committees (Traditional Economic Activities Support Programme Committee and the Social Development Programme Committee), and the Mini-Grant Fund Board. These governing bodies operate with the involvement of representatives of the Regional Council of Sakhalin Indigenous Minorities, Sakhalin Energy and Sakhalin Oblast Government. All governing bodies of the SIMDP are active and regularly hold constructive meetings at which they come to a consensus and make decisions. 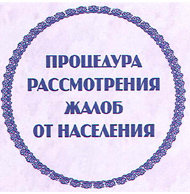 Sakhalin Indigenous Minorities representatives make up a majority in SIMDP governing bodies. Since its establishment in 1994, Sakhalin Energyhas been implementing social programmes to benefit indigenous minorities of the North. But the launch of the Development Plan was a qualitatively new stage in the relations between the oil and gas company and the indigenous residents of Sakhalin. The agreement to start implementing the Sakhalin Indigenous Minorities Development Plan was signed in May 2006 by three parties: Sakhalin Oblast administration, the Regional Council of Authorised Representatives of the Sakhalin Indigenous Minorities and Sakhalin Energy. Work began on drafting the document the year before with extensive consultations with the Sakhalin Indigenous Minorities. Meetings and consultations attended by over 200 representatives of the Sakhalin Indigenous Minorities took place in Nogliki, Okha, Poronaysk, Tymovsk and Alexandrovsk-Sakhalinsky districts, as well as in Yuzhno-Sakhalinsk. The first five-year Plan provides US$ 300,000 per year over a five-year period (2006-2010) to finance programmes that assist in developing the Sakhalin Indigenous Minorities. Sakhalin Energy has officially committed to support the local indigenous minorities as part of the First Plan and subsequent five-year Plans spanning the entire period of the Sakhalin-2 Project. The Working Group for the SIMDP development included Sakhalin Energy specialists, members of the Regional Council of the SIMDP, representatives of regional authorities, non-government organisations, and international experts. An important factor for beginning multi-party dialogue was the involvement of the Russian Association of Indigenous Peoples of the North (RAIPON). As a result of fruitful work over several months, the parties developed the Sakhalin Indigenous Minorities Development Plan, which complies with the World Bank's OD 4.20 and best world practice. The process of developing the SIMDP was highly appreciated by the European Bank for Reconstruction and Development (EBRD) and by international bank creditors of the Sakhalin-2 Project. Since the launch of the Plan, Sakhalin Energyhas financed over 230 projects worth a total of RUR 31 mln (as of March 2010). Notably, it has been representatives of indigenous minorities themselves that have selected and developed the projects. These include programmes in education, healthcare, preservation and study of the indigenous languages, supporting their traditional ways of living and preserving traditional culture. Follow this link to review the First Development Plan in detail.